Ready to test your handicapping skills in a series of informal handicapping contests? Then you've come to the right place! 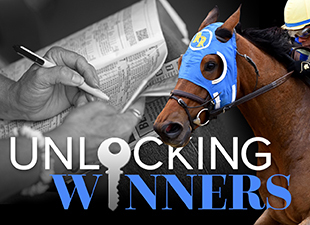 Every Saturday, the Unlocking Winners readers gather to share their selections for eight major race across North America and occasionally the world. Winning isn't easy, but the victor takes home the prestigious honor of bragging rights, and also the option to choose the races for the next contest if they desire. The complete rules and the schedule of contest races will be posted below each week. To enter the contest, simply follow the rules and leave a comment on this page with your selections. Good luck, and have fun! Rules: This contest will require players to choose one horse in eight contest races (unless otherwise noted). Scoring will be based on the $2 win/place payoffs of your selection, so if you choose a horse who prevails and pays $8.00 to win and $3.60 to place, your score would be $11.60. The lineup of contest races should be posted below in a featured comment. If you don't see this week's contest races in the featured comment, just scroll down into the remainder of the comments on this post—the lineup of races ought to be there somewhere! In addition to naming their top selection in each race, players may also include their second choices in parentheses, which will be used in the event that their top selection should scratch. In the event that both of a player's choices should scratch, they will be given the post-time favorite in replacement. Players may change any of their selections at anytime prior to post time for the first contest race; after the first contest race is run, all selections are final and any subsequent scratches will be handled in the manner explained above. The winner will get to choose the races for the next Saturday handicapping contest, provided they choose no more than eight races and focus primarily on stakes races. Good luck to all!